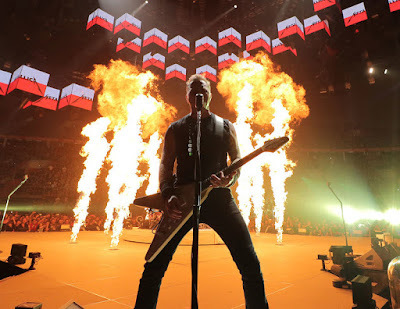 Metallica performed their 1983 thrash metal classic, “Motorbreath”, at the Tauron Arena in Krakow, Poland on April 28, and the group are sharing professional footage from the concert. The tune appeared on the band’s debut album, “Kill ‘Em All”, which didn’t hit the US Billboard 200 chart until three years later, where it peaked at No. 66 on its way to eventually selling 3 million copies Stateside. The Krakow stop is part of Metallica’s current arena tour of Europe, which wraps up in Helsinki, Finland on May 11 and will be followed by a June 14 ceremony in Stockholm where they’ll receive Sweden’s prestigious Polar Music Prize.